Edwards also served as the editor-in-chief of Education Week – the premier “news outlet of record” for pre-collegiate education in the United States – from 1989-2016. The newspaper, published 37 times a year, is read by more than 200,000 subscribers and “pass-along” readers. 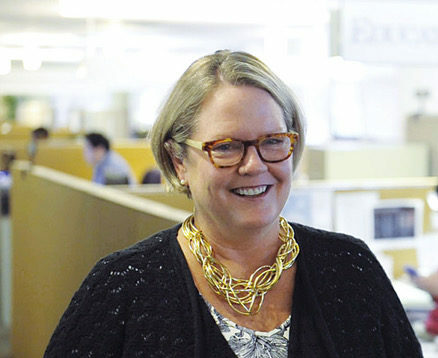 For 20 years, she was also the editor of edweek.org, which reaches an audience of 2 million registered users, and, in 2015, she launched the Education Week Video unit to produce segments for the PBS NewsHour and other broadcast partners as well as digital video and other multimedia content for edweek.org and other online platforms. A frequent speaker on education-policy, media, and organizational-development issues, Edwards has served on the boards of several nonprofit organizations, including, currently, the National Writing Project, Seek Common Ground, and the Omicron Delta Kappa Foundation, which supports programs to honor and develop collegiate student leaders.